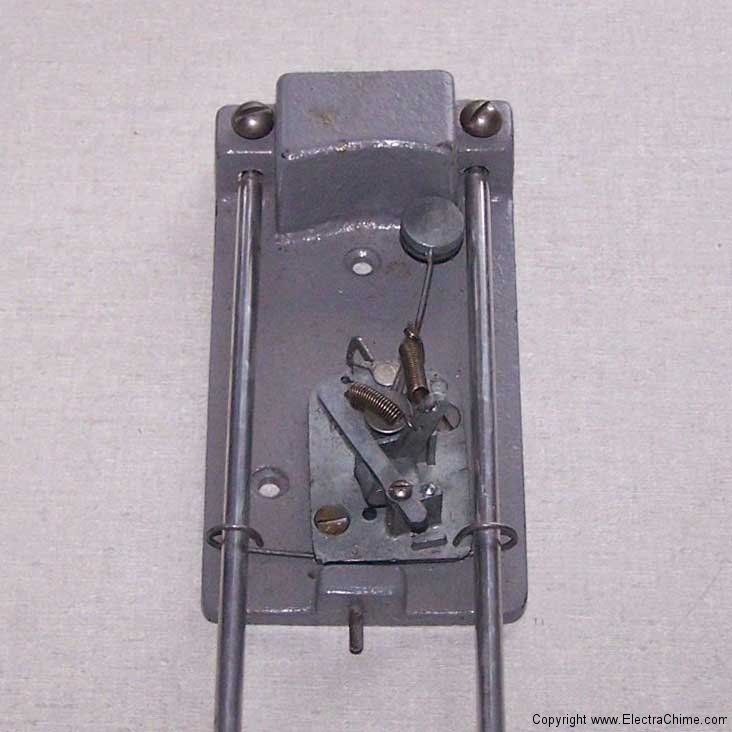 This unique door chime from Australia is the only known non-electric long bell door chime. 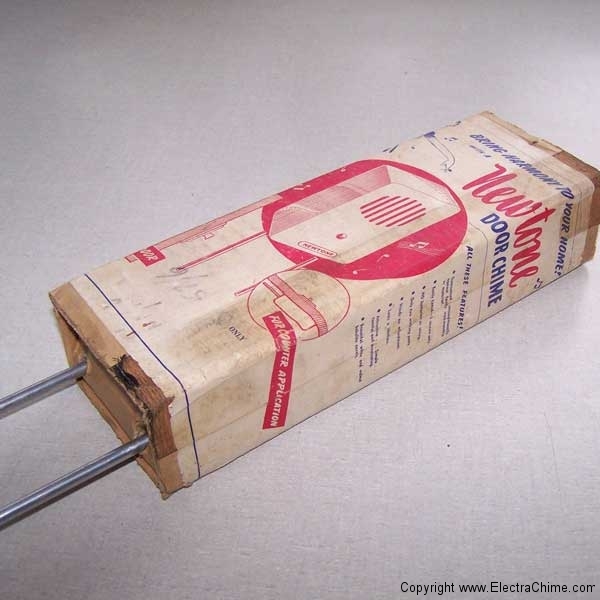 Another feature unique to this chime, and required by it’s intended mounting on the back of a door or under a counter, is the use of long rods rigidly mounted to the cast iron base assembly. This enabled the chime to be mounted vertically without the rods clanging when the door is opened. 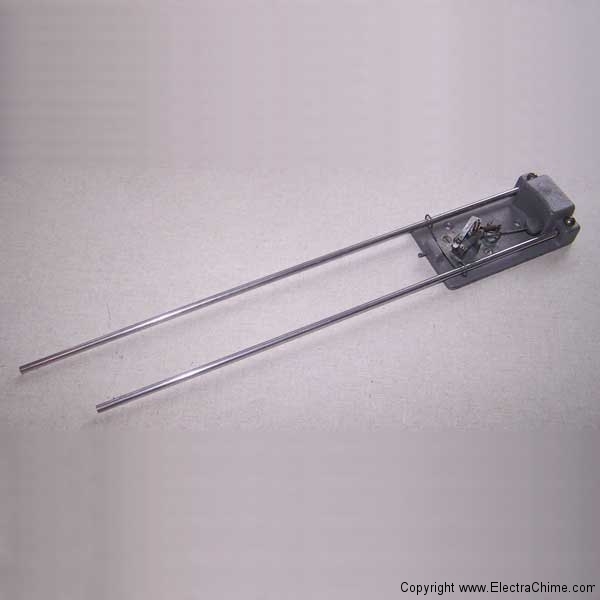 The rigid assembly also enables the chime to be used as a bell call, as in a hotel. The cast iron mounting of the rods is typical of how rods are mounted horizontally in many mantle clocks. The mechanism relies on cams and springs to ring a pleasant ding-dong melody. This chime came to the museum without a case or the mechanical device that triggers the chime, although the images on the box and box copy provides clues indicating that it was available with either a white or brown bakelite cover. If anybody knows of a more complete example of this chime, please contact the Doorbell Museum.